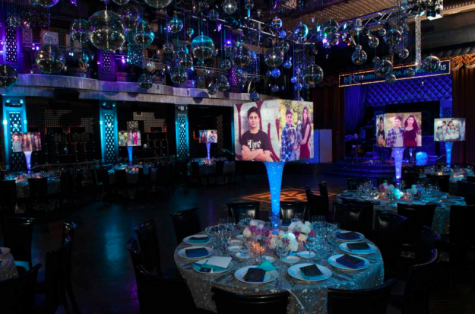 The large photo shades created bold focal points at each table. The professional photographs looked wonderful when illuminated! 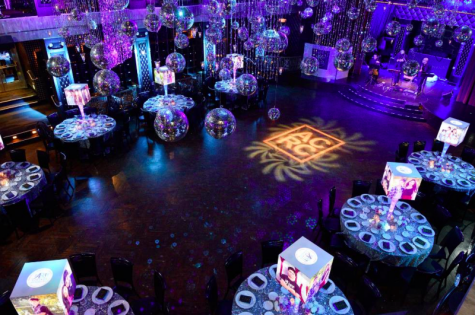 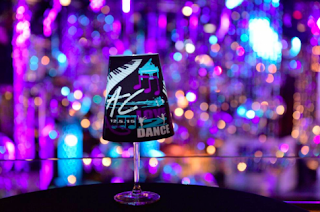 Also included in the decor were illuminated custom wineglass shades where one of the evening's logos was featured. Viewed from the second floor balcony, the festive decor set the tone for a most enjoyable celebration at the historic Edison Ballroom in NYC.